Liposclupture means slimming, filling and reshaping specific areas of the body by removing excess fat deposits or transferring to desired areas. Liposculpture, a painless liposuction, is a contour correction operation that is constantly confused with but technically different from liposuction. The liposculpture, which many individuals consider as a method to lose weight, provides correction only in problem areas. Liposuction means fat absorption and liposculpture means correcting the fat tissue and shaping aesthetically. Liposculpture operation is completed by shaping the body after removal of fat by vacuum from different body regions such as back, waist, belly, inside of legs, inside of knees, under jaw. It can be used alone or in some cases during breast reduction or enlargement, Abdomen Lifting, or other plastic surgery operations. Liposculpture is not a treatment method for obesity. If you exercise regularly and consume low-calorie foods, but genetically experience regional fatigue problems, it is a good idea to take advantage of this process. Am I a suitable candidate for Liposculpture? As in all other aesthetic operations, liposculpture surgery should be decided for yourself, not because other people want it. If your body has accumulated fat deposits in certain areas and you cannot overcome these regional fats with diet and exercise, you may have liposculpture surgery. Liposculpture prices vary. Much more important than the price of liposculpture is the experience of the surgeon and how well equipped your clinic is for this operation. For this reason, when choosing a clinic or surgeon for Liposculpture surgery, remember that the doctor's experience is far more important than the ultimate cost. How will Liposculpture Examination Be Conducted? When you come to Estetik International clinics, your doctor will first examine you and our medical photographer will take your pre-operative photographs. During the examination, you should share your medical history, medications, allergies, and all other information with your doctor. Our doctor will make the assessment for your operation according to the information obtained. We will share with you all the details you need to do before the surgery according to your specific condition. It is very important that you clearly indicate your wishes to your doctor during your first examination. This will help you have a higher level of satisfaction. You should also tell your doctor about your ideal weight and future plans, such as having a child. Just like the liposculpture procedure, the interview and examination to be done with the patient before the operation, and the confidence of patient for the doctor are very important. That is why it is beneficial that the doctor and patient ask mutual questions to one another. In addition, your doctor will answer your questions about the Liposculpture operation and refer to the methods that will be used. Doctor will take your photograph for medical records and measure the region of operation. You can obtain information about the risks or potential complications from your doctor. Liposculpture surgeries are operations with good feedback The wound recovery period is observed within 5 to 10 days. The swellings disperse within 1 week after the surgery. Meanwhile, the patient can return to normal life and use cosmetic products. In addition, a healthy lifestyle contributes to the long life of the results. Liposculpture is different from liposuction technique. Liposculpture surgery is a contour correction operation that is continuously confused with liposuction surgery, but technically different applications are performed. Liposculpture technique is applied to the determined areas of the body by using micro-cannulas. Your aesthetic surgeon first cuts in small centimeters near the area where the liposculpture is to be made on the body, and fine cannulas are passed through the opening cuts. These cannulas are usually thinner than the cannulas used in the liposuction technique and thus allow the surgeon to have a much greater grip on the fat cells. 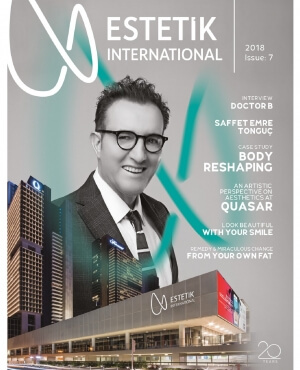 In our Estetik International clinics, we perform our operations by usin FDA-approved body and fat sculpture NIL (Nutational Infrasonic Liposculpture) method. NIL (Nutational Infrasonic Liposculpture) is known as Tickle Lipo. As this technique also performs fat collection simultaneously, it gives the control power to the surgeon. As a result, smooth body reshaping is achieved and recovery period is significantly reduced. How will Liposculpture Surgery Be Conducted? Liposculpture surgery is performed under general anesthesia. After the patient's procedure is over, he/she can go home with the doctor's consent and take a bath after 24 hours. In our clinic, liposculpture is applied with reliable technique, with scientific approval preferred by prestigious centers in the world. Liposculpture also removes many negative side effects. High vibration ensures to take more fat in a session and it minimizes the post operative pain. Liposculpture is the removal of durable fat deposits with a tube and vacuum device and shaping of the body. With Tumescent technique, saline-containing solution is administered by local anesthesia into the targeted fat cells before liposculpture. This reduces bruising and swelling after Liposculpture surgery. After the liposculpture surgery, it may take several weeks for your swelling to end. Each day your body will adapt to its new contour and you get in shape. If you maintain a healthy life in the context of weight control, Liposculpture will open the doors of a fit life for you. The important thing is to keep your weight constant, and to change your lifestyle with plenty of exercise. Once you are home, we advise you to leave the hospital with information about the procedures you need to follow. Why liposculpture method is called Painless liposuction? Liposuction has no disadvantages like damage to blood vessels and nerves or muscle tears. Liposuction helps to maintain smoothness of the skin and avoid bruisings with high vibration, absorption function and optimal strikes. Due to the structure of the cannulas, it helps to remove the fat tissue in sensitive areas even in hard-to-reach areas. Therefore the process is painless. What are the advantages of Lipomatic and Liposculpture? Does Lipomatic leads to weight loss? Lipomatic and Liposculpture are not weight loss methods. These are technological applications that shed light to persistent regional fat depositions that are resistant against diet and exercise. What happens if I gain weight after implantation? After having Lipomatic and Liposculpture application, you must pay attention to your lifestyle. If you do exercise and maintain a healthy diet as a lifestyle, you can enjoy a life-long comfort after the procedure. What are the cannulas used? They are proved to be the most reliable and safe devices that allow sensitive and high-volume fat removal from all body parts in an effective way. Thin and vibrating cannulas are inserted into the problematic area and causes fat depositions to become fat emulsions by disrupting the fatty tissue cells.